“Society must prioritise and safeguard the life of children in a changing world….. if we do not remember our history we are condemned to repeat it” were just some of the powerful and honest words of Mr Justice MacDonald at this years Annual ALC conference. 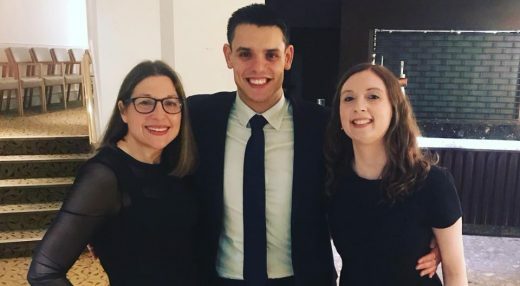 This week, three of our Family Team Solicitors namely, Michelle Flynn, Mark Gilmartin and Sarah Colley attended the Annual Association of Lawyers for Children Conference at the Midland Hotel in Manchester. As always the annual conference featured a fantastic line up of expert Child Care professionals including the eminent High Court Judge and long standing friend of the ALC, Mr Justice Alistair MacDonald QC, Dr Audrey Oppenheim, Child and Adolescent Psychiatrist, Dr Peter Richards consultant neurosurgeon, Dr Anna Remington, senior lecturer in Psychology and Human Development at UCL and many more impressive leaders in the field of Child Care and Children Law. This year has seen necessary, important and radical developments as well as challenges in the Children Law arena. The ALC conference Chaired by District Judge Simmonds, Counsel, Martha Cover and Solicitor Debbie Singleton spoke of the proactive steps taken by the ALC to implement some of those changes. This has included participation on a recent debate as to the Article 6 rights of those engaged in the newly formed settlement conferences, continued lobbying for the rights of independent representation for children, an on going commitment to Dr Brophy’s work on transparency and anonymity in the family court, intervention in proceedings where the rights of the children have been fundamentally side-lined, raising concerns in respect of how LASPO has resulted in victims of abuse being cross examined by their unrepresented abusers and more recently supporting the work for ensuring greater streamlined services and legal support for unaccompanied migrant children. The conference featured a number of key note presentations as well as interactive workshops. As the head of the Family Team at Wilsons, Aysen Soyer frequently reminds me, ‘every day is a school day’ and it is certainly true of the vast amount of helpful information and knowledge that myself and my colleagues leave this year’s annual conference with. Whilst I cannot fault any of the presentations and workshops at this years’ conference, I was most encapsulated by the workshop of Dr Audrey Oppenheim who spoke so passionately about truly understanding the mental health of vulnerable children. Dr Oppenheim explored with those in attendance at the workshop, the patterns of behaviour often exhibited by children during difficult family circumstances including parental separation and in circumstances where some form of neglect may have been present. The apparent theme is that all of those children required some form of therapeutic intervention of which was not always readily available in times of financial austerity. Absent that therapy, those children required stability, consistency, a nurturing and loving family home and importantly in the words of both Dr Oppenheim and indeed Tony Blair “Education, Education, Education”. Dr Oppenheim emphasised that the importance of schooling for children presenting with mental health difficulties as a result of some family instability was not only for the benefit of receiving an education but providing children with a place where they are supported, fed, guided, able to socialise with their peers and often to express themselves in ways that they may feel unable to do so in their home environment. Importantly, Dr Oppenheim referred to not necessarily focusing on the diagnosis or label to be given to a child’s mental health but rather the circumstances that led to the children’s mental health issues and understanding the background to provide that child with the right support to manage that child’s health. The presentation by Dr Peter Richards, neurosurgeon was also quite an eye opener. As family lawyers we are often faced with having to decipher complex medico-legal reports in the absence of any medical training. Dr Richards’ helped us to understand and grapple with the complex science behind brain and skull injuries with the analogy of a sausage sandwich! Needless to say, the selection of cocktail sausages on offer during the conference break were politely declined by the majority of those in attendance. Dr Richards aided us in understanding that the science behind determining the cause and timing of brain and skull injuries in the absence of a clear explanation is in fact very limited and that often the conclusion of a medico-legal expert in any court report is based predominantly on opinion and some degree of speculation. I found it fascinating to observe and to receive a diagrammed examples and explanations of injuries to the various parts of the skull and brain sustained by young children suspected as being Non Accidental. Dr Richards set what is referred to as the ‘Triad’ in investigating such an injury involving observing signs of Encephalopathy, subdural haemorrhaging and retinal haemorrhaging but in fact went on to describe how often relying solely on the triad may be unhelpful as it fails to consider other factors that may give rise to a more accurate opinion such as blood in the Subarachnoid space, bruising on the face, spinal haemorrhaging and importantly the context in which that child is suspected to have received the injury. Dr Richards reminded those present that it is not the role of the medical experts to identify the potential perpetrator of an injury but rather to carry out a medical assessment that may assist the court in determining causation. He commented that in many circumstances the starting point is to consider whether there is a ‘story’ offered that provides an explanation. If not then it is usually assumed that either the injury follows an unusual event, the child is in someway more fragile and thus more vulnerable to accidental injury, the ‘story’ is being concealed or whether there is something unrelated that is capable of having caused the injury. He spoke of the ‘unknown’ and how in a changing world, advances in medical treatment increasingly offer what historically would have been unknown explanations. He referred to the recent jurisprudence on the findings of Ehlers-Danlos Syndrome [EDS] and the connection to the symptoms of EDS as a genetic condition resulting in symptoms that might be considered at first blush to be NAI. My colleagues attended the other workshops of which I am told were equally engaging and full of helpful advice from both senior family law professionals and those practicing in other complementary areas of child protection. The conference was a real reminder of how we all continue to strive to ensure that children, as the most vulnerable in our society are protected from harm but also offered a voice of independence. The ALC is described by its committee as a ‘family’ to all those in a the profession. Martha Cover in standing down as a chair of the committee when referring to all of the great work carried out by the ALC and its members confirmed the view of us all “ALC, we love you”. The firm look forward to next year’s conference on 22nd November 2018 in Bristol. Solicitor – Children Panel Accredited.